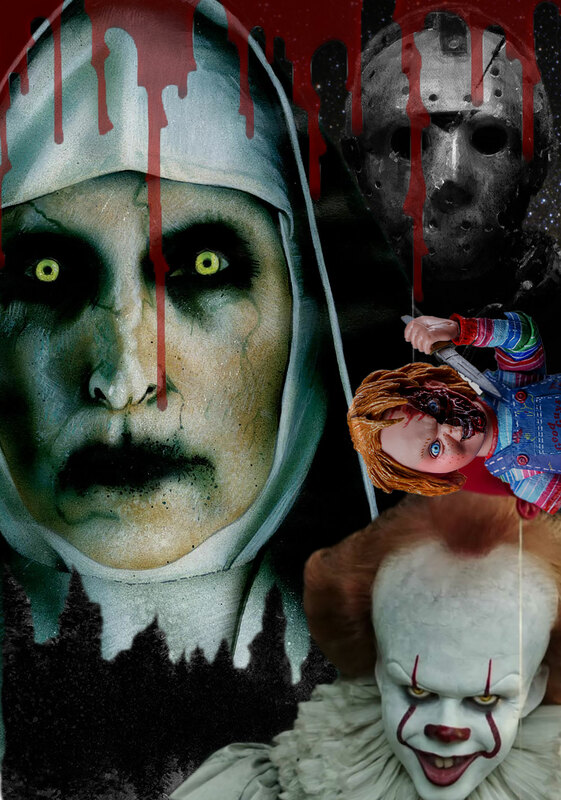 This Halloween collage has the worlds famous horror characters such as The Nun, Pennywise the clown, Jason, and Chucky. This isn’t just one picture but separate frames joined into one image from photoshop. With Halloween right by the corner this portrait collage expresses the spirit of the spooky season. Which character is your favorite ?